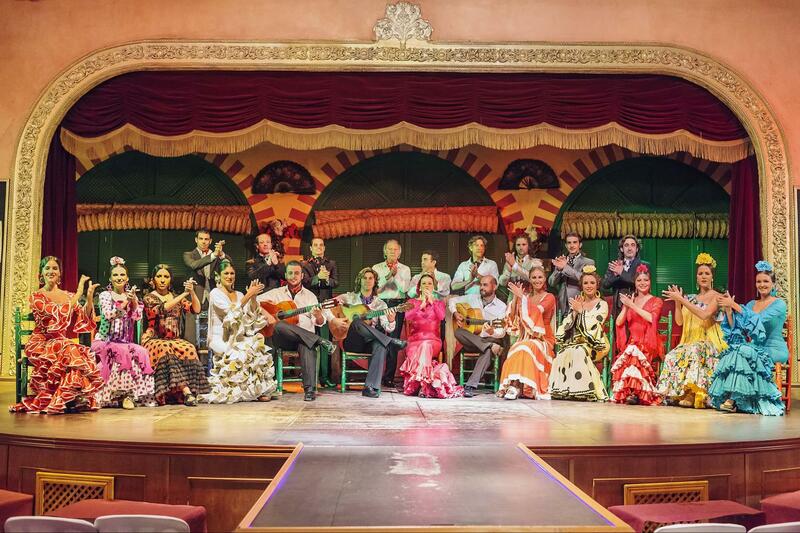 Discover Seville at night with the night-time walking tour and enjoy an authentic flamenco show. 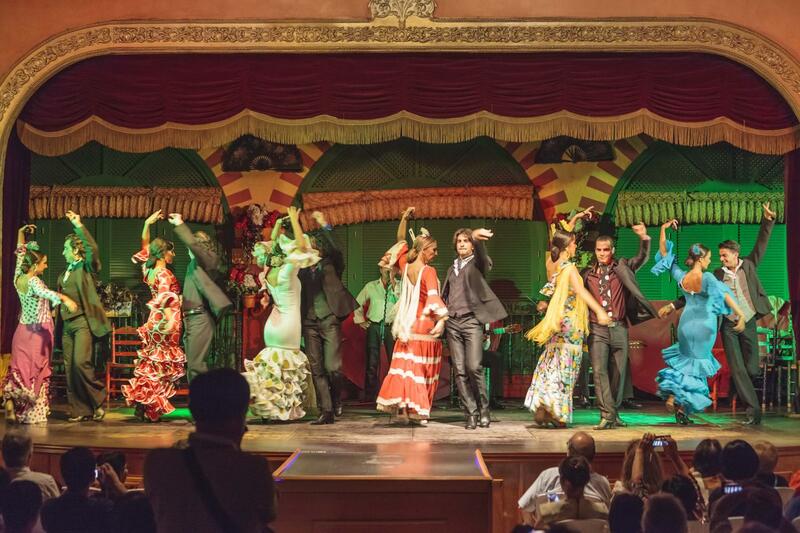 The tablao flamenco offers high quality flamenco shows in and old palace of the XIX century. Official Tourist Guide for the walking tour. Selection of tapas for dinner. This tour ends at Tablao Flamenco. This tour starts at Avenida de la Constitución 5, and ends at Tablao Flamenco. 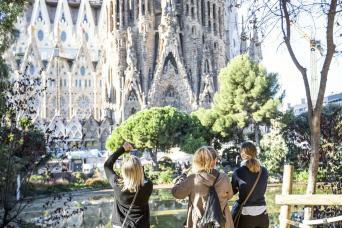 This well-organized tour, offers you a spectacular walking tour to the main monuments of the city center, bathed in the twilight to prepare your senses for a magical evening. 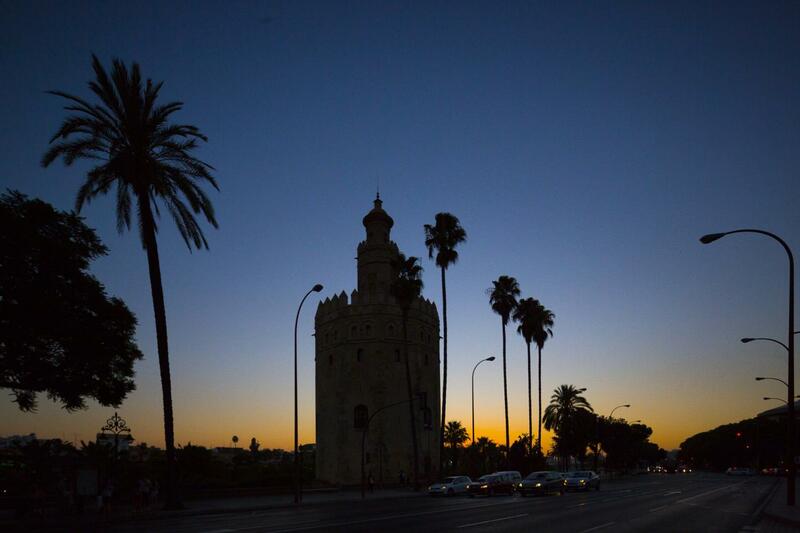 On this scenic drive you will pass by famous landmarks such as the river bank, the Torre del Oro and the famous Triana Quarter. 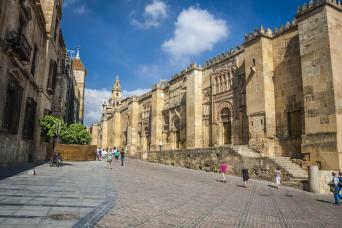 From this authentique quarter you will enjoy the Plaza de Toros de la Maestranza and the Torre del Oro. 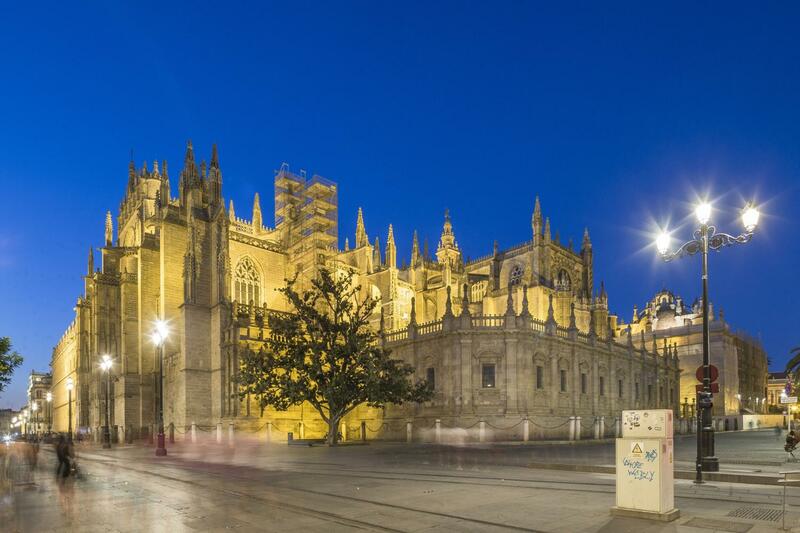 After this beautiful walk in Sevilla, we will go to the flamenco show, where you will take a seat next to the stage to enjoy and truly admire the art of dance, which was originated more than three centuries ago. Enjoy this magnificent spectacle while you have some tapas, always with quality products and a cuisine based on the Andalusian tradition. -Fresh tomatoes from the garden. -Piquillo peppers stuffed with cod. -Spanish Tortilla: omelette made with eggs and potatoes, sometimes also with onion or chives or garlic; fried in oil and often served cold as an appetizer. -Chupito de salmorejo consisting of tomato and bread, originating from Cordoba.